This rug was purchased for in front of my kitchen sink. Solid little rug with a pretty pattern and good quality. The only minor issue I had was that it was slippery on the floor, but I picked up one of those rug-stay-in-place mats for under it and now it's A number 1. 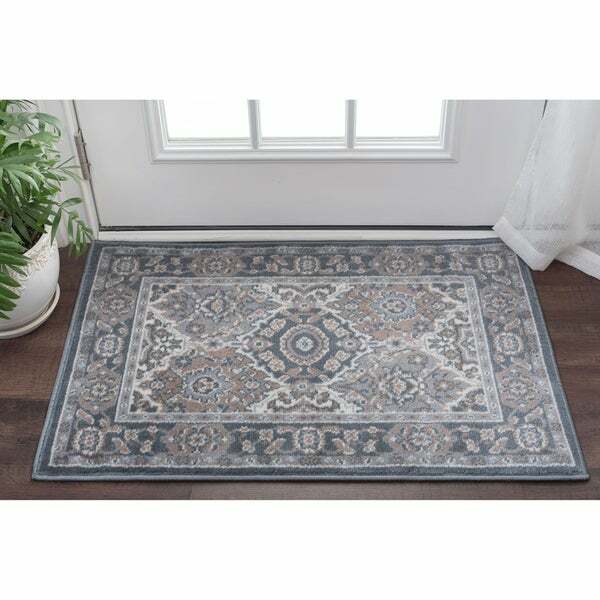 Exact Rug Size: 2' x 3' / 36 in. x 24 in. Dimensions 36.0 In. X 24.0 In. X 0.35 In. Beautiful rug for our foyer. Exact colors as advertised. This rug is pretty. It came very wrinkled so it will take awhile to even out I hope. "The pictures show rugs of several different colors. What color is this rug? " The images show all of the color options available, but this particular item is grey.